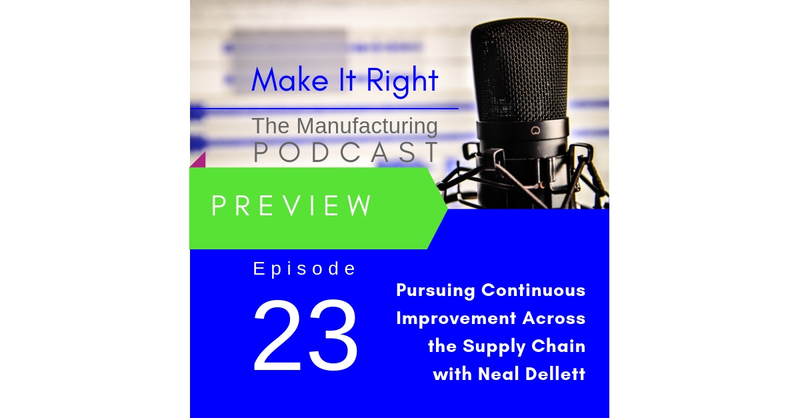 Neal Dellett has more than 30 years as both consultant and practitioner leading continuous improvement programs in the industry and for several “billion dollar brand” supply chains. This week on the Make It Right podcast he explains how pursuing continuous improvement is a process of continuous change. Full show coming Friday!